The Nokia C3 01 phone is having many extra features. The mobile performance is very good. The Touch screen mobile is having nice TFT display screen. The screen provides 240 x 320 pixels resolution. Nokia C3 01 is a good entertainment package. The Music player of this model is excellent. The Audio player provides good sound quality with 3.5mm audio jack. The video also provides good picture quality. The connectivity of this mobile is very superb. The Nokia C3 01 is having Wi-Fi connectivity. The camera of this model is very good. The mobile handset is having Camera with LED flash option. The model is also having Music dedicated keys on the side of the body. The external memory is capable with up to 32 GB. The company has provided this phone with Silver, warm grey and Khaki Gold colors. The mobile comes with lots of specifications. The dimensions of this model are 111x47.5x11 mm. The weight of this mobile is 100 gm. The TFT display screen is having 2.4 inches size of the mobile. The Image output resolutions are 240 x 320 pixels. The Audio and Video players of this mobile are added with 3.5mm audio jack for providing loud and clear sound. The Bluetooth connectivity is very fast for better data transfer service. GPRS and Edge connectivity are provided and thus good Internet facility is enabled. The camera of this model is having 5 mega pixel capacity. The LED flash feature is providing clear picture quality. 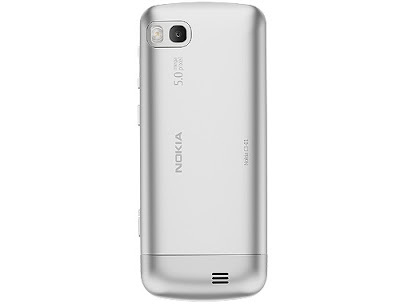 The Nokia C3 01 is having Li-ion 1050 mAh capacity battery which can afford to give talk time of 6 hours for 2G network and 3.5 hours for 3G network. The mobile is having good storage facility through 32 GB expandable memory. The 3G network is providing good communications facility. The mobile comes with beautiful colors. The mobile is also enabled with JAVA based apps. 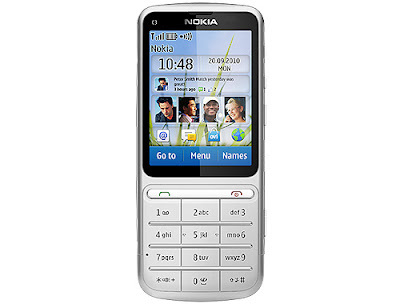 The Symbian series 40 operating system is also available in this mobile. 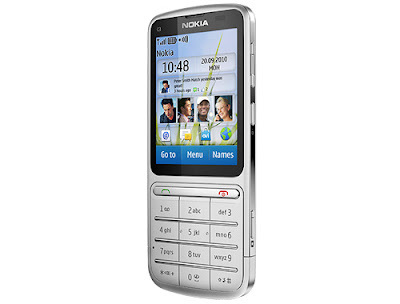 The Nokia C3 01 is very good looking mobile. The company is expecting good response from this mobile. The Indian mobile customers are happy with this model. Hey..thanks for the post and great tips..even I also think that hard work is the most important aspect of getting success.